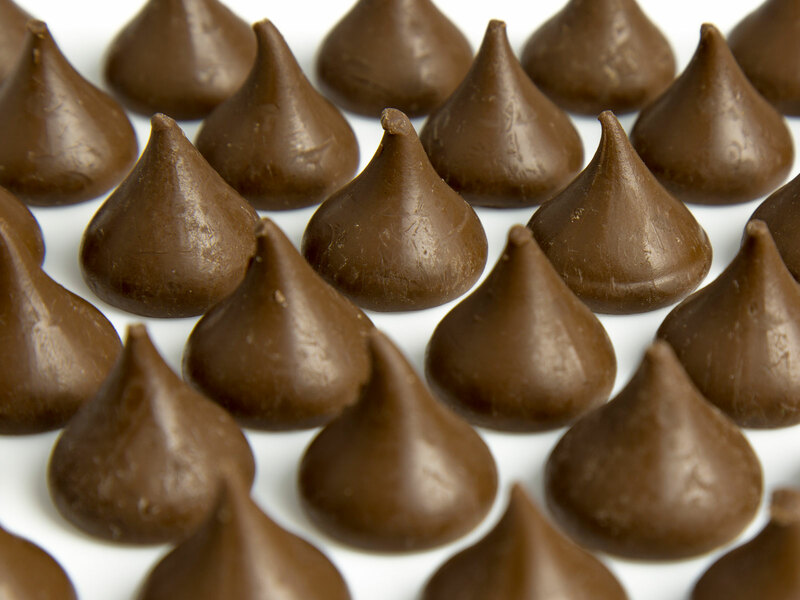 Bad kisses sound like a problem you haven’t dealt with since your teenage years, but they’re a serious concern right now for bakers who are accusing candy maker Hershey of selling its signature chocolate Kisses with broken off tips. The issue apparently initially came to light thanks to members of the Facebook group The Wedding Cookie Table Community. The page’s Pittsburgh-based founder Laura Magone told the Pittsburgh Post-Gazette that a fellow baker first pointed out the problem over two weeks ago. But things got even more bizarre when Magone called to complain: “Hershey has told people on this page (including me today) they are intentionally breaking off the tips of the iconic American Hershey kiss at the factory so the tips don't break off in transit — this makes no sense,” Magone wrote on Facebook. She told the Post-Gazette that answer “doesn’t pass the smell test,” and urged other members of the group to also call and complain. Meanwhile, in the days since, images and accusations of tipless Kisses have been everywhere — not only in other posts on The Wedding Cookie Table Community page, but also on other social media sites like Twitter. The fate of the small chocolate candy and its missing tips has become a bit of a media sensation. However, despite the explanation The Wedding Cookie Table Community says they received, in the brand’s statements to the media, The Hershey Company apparently has yet to fess to up a cause or elaborate on if, when, and how it plans to fix the issue. In the meantime, you might just have to accept that your Hershey Kiss cookies might night look perfect this holiday season.